On Sunday, June 9, BORP along with the San Francisco MTA, Mayor’s Office of Disability, Department of Aging and Adult Services, and the San Francisco Bicycle Coalition will host an Adaptive Cycling event where youth and adults with physical disabilities will be able to test ride adaptive bicycles at the Sunday Streets event in the Dogpatch neighborhood of San Francisco. 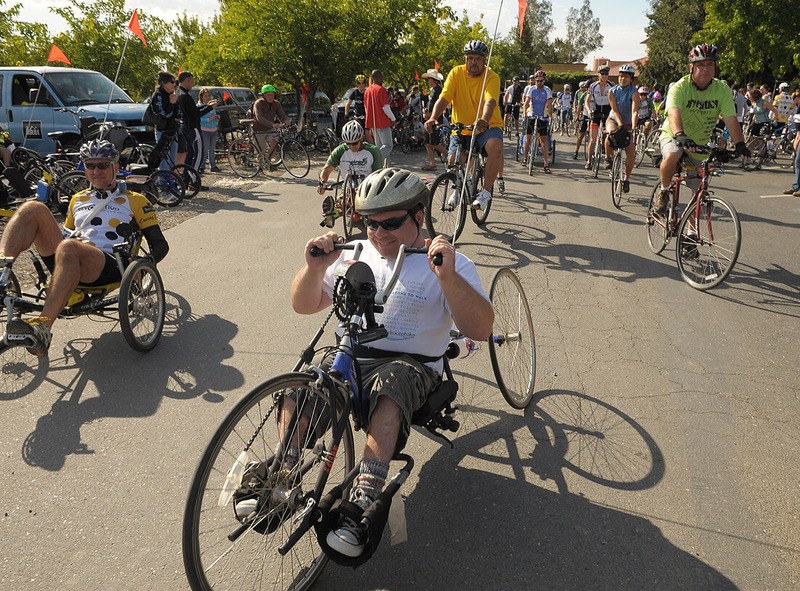 BORP has the country’s largest and most diverse collection of adaptive bicycles for use by people with physical disabilities and will offer orientation and training to new riders at the Sunday Streets event. Handcycles, tandems, recumbent tricycles, and therapeutic trikes will be available for adults and youth to test ride. The June 9th Adaptive Cycling Event will open up bicycling to even more people in San Francisco during the car-free Sunday Streets event. Drop by Indiana and 19th Street between 11 a.m. and 4 p.m. to take a test ride!